OMBE has been the recipient of several awards including Best Acupuncture Center, Best Massage, Best Nutritionist, as well as multiple green business awards. "OMBE (One Mind Body Earth) is an integrative health center in Boston that combines Eastern and Western medicine to develop comprehensive treatment plans. Services include acupuncture, acupuncture for fertility, herbal medicine, integrative nutrition, prenatal massage, and tui na massage. 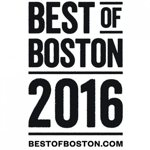 Boston Magazine named OMBE Best of Boston Best Acupuncture Center in 2016 and Best Massage in 2013. OMBE has also integrated green practices into its business." "Ever-soothing Jessica Molleur is the big draw here. The Back Bay acupuncturist and herbalist moved her popular OMBE practice to this center last month, bringing along a loyal following (she’s known for her uncanny magic with fertility woes). Chiropractor Jean Kelly—who’s cracked Olympic athletes and members of the Boston Ballet into shape—is just down the hall, so it’s a one-stop tune-up." "Jessica Molleur made going green part of her business plan when she first opened the yoga, Pilates, and holistic healing center in Boston’s Back Bay neighborhood. At OMBE, “green” has a deeper meaning: it stands for guest services, recycle, environment, energy conservation, and neighborhood: the pillars of the company." "7 Pounds…how much less women weighed who kept fruit bowls on their kitchen counters compared to those who didn’t, according to research…On the flip side, women who kept cereal boxes out weighed 21 pounds more than women who kept them out of sight. Seeing food triggers what you eat!" "If you’re in town and interested in learning more about OMBE, they are hosting an open house this weekend with Follain, Sweetgreen, Sophie Hughes, and others. It will be a day of free classes, treatments, plus food and drink. Namaste!" "Create your own organic massage oils. You can then customize them according to client needs, preferences, and special considerations such as allergies or conditions...Jessica L. Molleur, Lic. 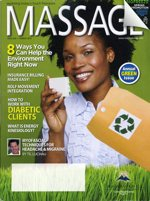 Ac., D.N.B.A.O., is a licensed acupuncturist, herbalist, massage therapist, and founder of the OMBE Center in Boston Massachusetts; her practice received Boston Business Journal’s Green Business Award in 2012." "Brilliant concept: Yoga classes max out at six people-and have a regular yoga price tag. The studio, founded by acupuncturist, Jessica L. Molleur, sets a serious eco-conscious example, down to non-toxic cleaning products and PVC-free props, and is known for its amazing integrative medicine services." "Start your weekend with some core strengthening at JJ Fritz’s Pilates class on Nov 15th. Pilates Power 45 at Athleta…OMBE’s JJ Fritz leads attendees through Pilates exercises that help develop flexibility, balance, and core strength." 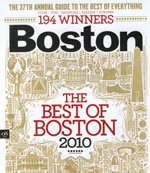 "Ever since Isis shuttered, Boston has been lacking in pre-and-post natal classes. But now, OMBE Integrative Health Center is picking up the slack. Big Time. They’ve expanded their offerings to include yoga and Pilates for new moms; breastfeeding support groups; first and second-time mom support groups; and Hypnobirthing classes for expecting couples." "Find inner peace at an outdoor yoga or meditation spot this summer. On the second Saturday of each month, the experts at OMBE lead community yoga and meditation classes on the lawn at Copley Square across the street. The outdoor setting creates a feeling of serenity without leaving the city." "Achieve Zen with these yoga manners lessons…Jessica Molleur, owner of OMBE [recommends]:…Be open to anything. Plan on coming to class with an open mind…Just like any new form of exercise, yoga will push your body and mind in unexpected ways." "Kay walked into my office one week after the race with a triumphant smile: “I did it! I met my goal. 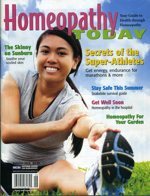 I finished the race-injury-free and pain-free!” Not only that, but she recovered quickly…Kay was thrilled to have achieved her goal-and she attributes her success to homeopathy!" "Pay a visit to Dr. Drew Deppen of the Motion Performance Group at OMBE center to have you comfortable in your heels in no time. 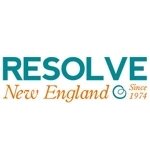 Deppen, the only McKenzie-certified chiropractor in the Back Bay, uses a combination of myofascial release, Graston Technique, and strengthening exercises for pain relief." "At this integrative health center four floors above Copley Square, our therapist kicked off the 80-minute massage by asking about problem areas and preferences—and actually listened. After guiding our limbs through a series of stretches on the heated table, she kneaded shoulders, back, neck, and quads with the hard pressure we crave (and often request, but don't get). And green practices (down to the organic Badger balm and body oil and linens cleaned with an eco-friendly detergent) left our inner tree-hugger at peace, too." "OMBE Integrative Health Center is your one-stop shop for nurturing mind, body, and soul. Stay in optimum physical shape with personal training, Pilates, and yoga. Seek nutritional counseling to attend to your dietary needs. Restore your body with chiropractic, massage, and acupuncture treatments. Find mental peace of mind with OMBE’s Life Coaching. And care for your overall health with naturopathy consultations." "OMBE, City Sports, Sweetgreen and Athleta host an outdoor yoga class open to all experience levels. Proceeds benefit the One Fund. Copley Square Lawn, 560 Boylston St., Boston (617-447-2222), ombecenter.com MBTA: Green Line to Copley. Through Sept. 26. Thursdays, 12pm. Free; donations accepted." "The biggest loss in a breakup isn’t your partner-it’s your confidence. Here’s how to pick yourself up, knock off the dust, and get back in the game…nutritional counseling, $125, OMBE Center, Boston, ombecenter.com." 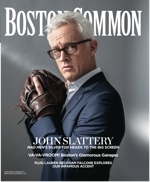 "…So it's about time someone brought us a one-stop shopping destination for eco-friendly beauty products in the Back Bay. In mid-September, the multi-faceted OMBE Integrative Health Center (551 Boylston Street, 4th Floor, Boston, 617.447.2222) will debut its Eco Beauty Bar, a retail component designed to complement the spot's holistic services (which include acupuncture, naturopathy, and nutritional counseling) with a selection of local and eco-friendly skincare and beauty products…"
"Located in Copley Square, OMBE is a holistic experience not to be missed. A health office committed to an integrated approach to natural healing, OMBE believes that it is the combination of all forces that affect our lives. The first eco-friendly health center in Boston, OMBE has organic cotton towels, biodegradable yoga mats, and focuses on community outreach and educating other businesses on how to be more eco-chic." "OMBE. That's One Mind Body Earth, the Back Bay health and fitness center that offers a kinder, greener selection of treatments- acupuncture, Pilates, naturopathy – with a softer, gentler selection of implements – organic massage oils, PVC-free yoga mats. See those blissed-out, post-massage clients? Proof that nirvana is just a neck-rub away." "In November, OMBE added life coaching to its list of other services, like acupuncture, naturopathy, and nutrition counseling. The idea is to regain focus, reduce stress, and break down barriers to better achieve goals, says OMBE founder Jessica Molleur." "At OMBE, a holistic sanctuary high above Boylston, you'll find acupuncturists, nutritionists, yogis, reiki practitioners, and naturopaths. You'll also get a dreamy massage ($45-$135)...And no need to feel guilty about your indulgence, because it's the greenest spa in town. The massage oils are local, organic, and paraben-free." "Shortly after checking in I decided to head over to one of the best spas in Massachusetts as a whole-OMBE Center. Our friends at The Daily Obsession gave OMBE rave reviews, so I knew it was worth trying. This health and wellness mini-retreat is tucked into the 4th floor of a cute building in a seemingly bustling Boston neighborhood...That's one of the best parts-the whole place is a hidden treasure in every sense." 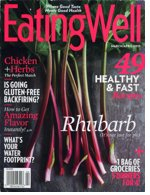 "Farmer's Market Tour: For $180, nutritionist and registered dietitian Laura Foresta guides you through produce stands, helping you meet vendors and create seasonal menus and recipes." "OMBE Integrative Health Center at Copley Square is committed to an integration of Western and Eastern medicine and uses environmentally friendly products and practices to support its mission...Women's health services and sports medicine are the specialties at OMBE. Molleur, who said a majority of its clients are eco-conscious women who are seeking out green businesses to patronize, added that later this year OMBE plans on launching an eco-mom's group." "One Mind Body Earth (OMBE) is like a Zen temple on bustling Boylston Street, a sanctuary where the best of Eastern and Western medicine meet...Molleur, an acupuncturist, herbalist, and massage therapist, prides herself on uniting Eastern and Western approaches to address a variety of conditions, from anxiety to back pain to infertility..."
"At Copley Square's OMBE (One Mind Body Earth) integrative health center, they use paraben-free massage oils and PVC-free biodegradable mats, organic cotton blankets, and eco friendly props in the yoga studio. The recipient of Mayor Menino's 2009 Green Business Award, this holistic center is offering a 15 percent discount throughout April on the Eco-Treat package..."
"Yoga for Runners is a fantastic way to build strength, stretch, and enjoy your body's movement, which can be overlooked with the monotony of running. Not only is OMBE catered towards personal health and well-being, but they're also concerned about the environment and applies a 'green philosophy' to all of its services and business practices..."
"Molleur started the center - which offers yoga classes, acupuncture, chiropractic work, and other services...its green, organic-only practices reflect its philosophy, which holds that every facet of health is interconnected..."
"Surround yourself with like-minded ecopreneurs and your green endeavors will become effortless. Jessica Molleur, owner and founder of OMBE Integrative Health Center, has started the green business networking group, SAGE (Sustainable Action Group for Ecopreneurs), which meets Tuesday mornings at OMBE..."
"One Mind Body Earth (OMBE) integrative health center is now inviting other green businesses to join newly formed SAGE (Sustainable Action Group for Ecopreneurs), a green business networking group...Boston native and OMBE founder, Jessica L. Molleur, believes that supporting green businesses in Boston is an important way to rebuild the local business community..."
"Women should achieve and maintain a healthy weight through diet and regular exercise but shouldn't eliminate nutrients necessary for fetal development, such as folic acid, calcium, vitamin D, and iron says Laura Foresta, RD, LDN [of OMBE]." "After she [Grodsky] finished graduate school for physical therapy, she realized the principles of Pilates went well with her profession and became a certified instructor in 2004. She's worked with many triathletes, golfers, dancers, college-level baseball players, skiers, and most of all runners." "Also a member of the Sustainable Business Leader program, the company [OMBE] has created a healthy environment for its customers by using green cleaning products, implementing a rigorous recycling program, and promoting energy-neutral policies." "Dr. Lyle Micheli, the Boston Ballet's attending physician, sometimes tries an unusual approach: He sends them to an "integrative health center" for rehabilitation: The Back Bay business, called OMBE." "Molleur's business, just named Green Business of the Year by the city, sets a high green bar. OMBE recycles 100 percent of its paper waste and composts food and tea leftovers, uses biodegradable and PVC-free yoga mats in its studio." "What each runner eats can make just as much of a difference in the recovery process, according to Laura Foresta, a registered licensed dietitian at OMBE on Boylston Street. OMBE's recent "Marathon Madness Open House" gave banged up joggers mini-treatments steps from where the big race will finish."